Set in London and Dublin, both in the 1970’s and in the present day, The Illusionist is the story of a writer, Stella, and of her marriage to a strange man named Martyn. They meet when Martyn interrupts her reading on a train, and Stella is quickly charmed by this mysterious man and the illusions he performs. Shortly after they get married, Stella begins to realize she doesn’t really know the man she’s sharing her life with. Bluebeard-like, Martyn keeps a locked room in the house that he requests her not to open. The story of their marriage is intermingled with a present-day story, when their daughter Robin visits Stella in Dublin after Martyn’s funeral. This is probably not a book I would have picked up on my own. It was lent to me by one of my professors, and since I have so many books of my own to read as it is, I decide to give it a fifty pages test. Before I even reached page twenty, I was hooked. I can’t quite explain why, but this novel’s quiet, sombre mood completely sucked me in. Though this is a slow and reflective story, it’s also quite a page-turner, possibly because it has an element of mystery. Who is Martyn? What is he hiding? Just where do the illusions stop? I really loved Stella’s voice, which is subtle and lyrical and precise. The writing is very beautiful, and I regret that I had to return the book before I had time to type my favourite passages. I also loved that Stella was a writer (I almost wrote “was a diver”—which will only make sense to Interpol fans, I’m afraid). She doesn’t begin as one, but watching her grow confident and find her voice was one of my favourite things about this novel. The Illusionist is a story about trust, about silences, about art—and above all, about the importance of having some space in your life, however small, that is solely yours. For Stella, this is her writing. The ever-secretive Martyn does his best to crush it, though, and often tells her just how much he resents her written words and private thoughts. Though it doesn’t quite seem like it at first, the story turns out to be a bit dark. Martyn is just such an unpleasant man, and I really felt for Stella when she was at her most lonely. Also, Martyn does tricks with doves, and Stella has ornithophobia (which I completely sympathize with. Those beaks! Those beady eyes!). He dismisses her fear completely, saying things like “I thought you were a rational, intelligent woman.” The scenes in which he forces her to be near the birds really got to me. There's also Stella's complicated relationship with Robin, who adores her father, and with her own mother. There's her friend Bill, who encourages her writing. And to make the story even more interesting, we have the often complicated relationship between Ireland and England playing in the background. Though the ending of The Illusionist leaves some questions unanswered, it wasn’t at all unsatisfying. This was a lovely book—a very pleasant surprise. This sounds gorgeous, Ana. I have to admit, the cover actually sucked me in a bit, too. Any relation to the movie of the same name? Another beautiful review, Ana! I'm not sure if it's a book I'll ever get around to reading, but I have a feeling I'd love it if I did. I thought of the movie too but it sounds different albeit lovely. This sounds fabulous. I had never heard of it before but I will definintely be checking it out. Fabulous review. I would definitely read this. I like the darkness of it. The cover is lovely too. I am a sucker for a pretty cover. Amanda: The cover really intrigued me too. And it actually captures the mood of the book really well, I think. Loren Eaton and Claire - No relation, but the movie is based on a Steven Millhauser short story. Debi - I hope you do! It's actually really short too, so it's a quick read. Scrap Girl: So am I! Love the cover and the mysterious element, but especially the idea of Stella finding her own voice. Great review! Oh I was also thinking of the movie at first when I was reading your review. Anyway, another one for my list! Haha, when I glanced at the title, I thought it was the/a book that the movie The Illusionist was based on. And then I read on. I'm glad that the book was rewarding for you. I find it difficult when someone gives me a book and I want to read it to bond with them, but then consider my long TBR stack! Great review! Like one of the above posters, I was curious to know if this book was based on the movie, but I see that you said it was not. I think I would really enjoy this book, although Martyn's cruelty to Stella may put me off a bit. Glad you enjoyed this one. I will have to take a closer look at it. Sucked in after 20 pages sounds great to me! I'll have to put this on my wish list. Finding a space for yourself is my essence. Thanks for sharing your great find. This sounds grand...thanks for the review. The cover is way cool too. That's enough of an incentive for me to pick it up! I really love the cover and your review makes it sound really good. It's always lovely to find a hidden gem of a book you wouldn't normally pick up. This book sounds absolutely amazing. I have seen this book around but never actually felt like reading it. I'll have to give it a try now. Kimbofo over at Reading Matters is a Jennifer Johnston enthusiast, your review has reminded me I've meant to try her work. This is one of the many things I like about your reviews -I've never heard of this book but it sounds amazing. The cover first caught my attention-it's lovely. Dark books are appealing to me. This one sounds good and I'm glad you reviewed it. Zibilee: It would have put me off too if it were handled lightly in the novel, but it really isn't. Matt: Their first encounter is all romantic and mysterious, but he quickly becomes creepy! wisteria: It is mine, too. As much as I love people, I need my quiet time. Rhinoa: I know! I love it when that happens. Violet: I actually hadn't heard of it before my prof lent it to me. Now I think it's too bad it's not more widely known. 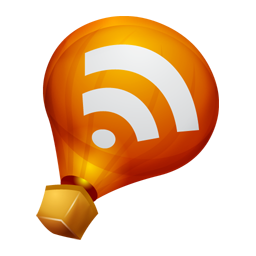 Sarah: Thank you for the link! I knew I wanted to read more of her work, but I didn't know what to pick up next. This will help me decide. Lenore: That's really the only connection, but I also thought of Bluebeard immediately. Dar: Aw, thank you so much! Alice: To me too. I never say no to a good dark story. This one is different from most, but it has a wonderful atmosphere. Wow this one sounds awesome. It isn't something I would have picked up either, but your description has me hooked. I want to know more about these characters, and the secret that Martyn is hiding. I thought of the movie at first, but this story sounds equally engrossing. And the cover really hooks you in. Anyway, that fear of birds doesn't sound like something I would like to have lol. My mom and I have owned several over the years including three Conure parrots, an Indian Ringneck, an African Grey parrot, and two cockatiels. Some bite but for the most part most of them are incredibly sweet. Fantastic review! I like the idea of not truly knowing the person you're with, because it's so true to life. It's scary to think that someone you love is completely alien to you. It's like no matter how much you love them, spend time together, talk, whatever - you can never know what's inside. Kim: We don't find out everything at the end, but for some reason I didn't find that frustrating. It worked well for me. Joanne: Your comment reminded me of Paper Towns :P In this case, the distance is so huge you wonder how they can be a married couple at all. gorgeous review! 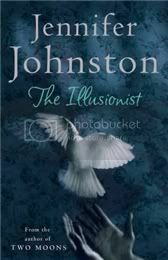 i'm studying the illusionist at the moment with my english literature class and like you i was also hooked from beginning to end. It is a real gem of a book, and one that deserves more credit in my opinion. the way that Stella finds her escapism in music and her writing was very inspiring to me and I certainly don't regret a second I spent reading this rare beauty of a novel!